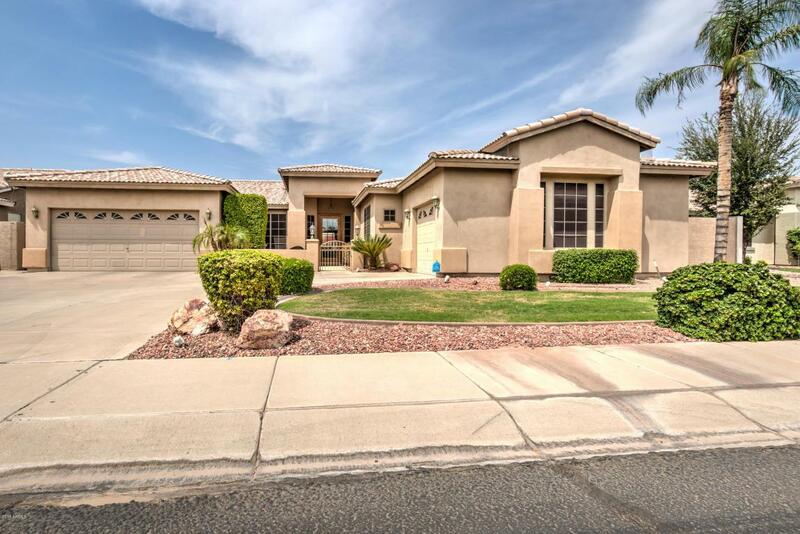 Gorgeous Mesa home in ideal location near freeways, Tempe Marketplace, Mesa Riverview, and Spring Training facilities! 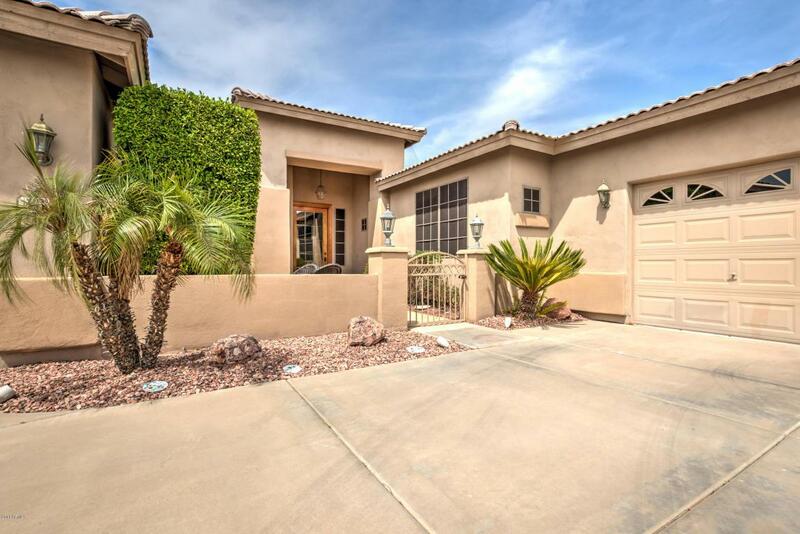 This home boasts a sprawling open layout with a large kitchen, dining, and living area. 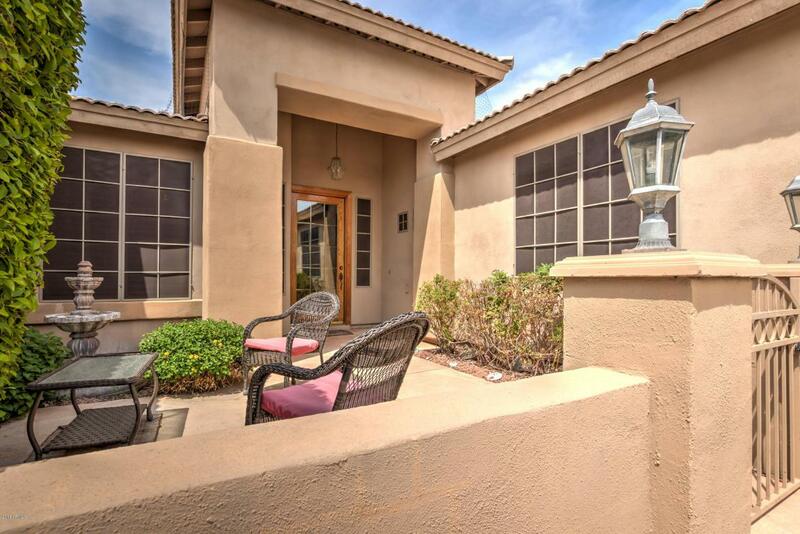 Right off the entry way is a stunning home office with french door entrance and built-in desk space. The kitchen has an island with additional seating, gas range with double oven, granite countertops and plenty of cabinet space. The backyard is a resort style retreat with a sparkling play pool, built in barbecue, and fire pit. The interior and exterior of the home are both wired for surround sound, making it hub for backyard barbecues and entertaining. 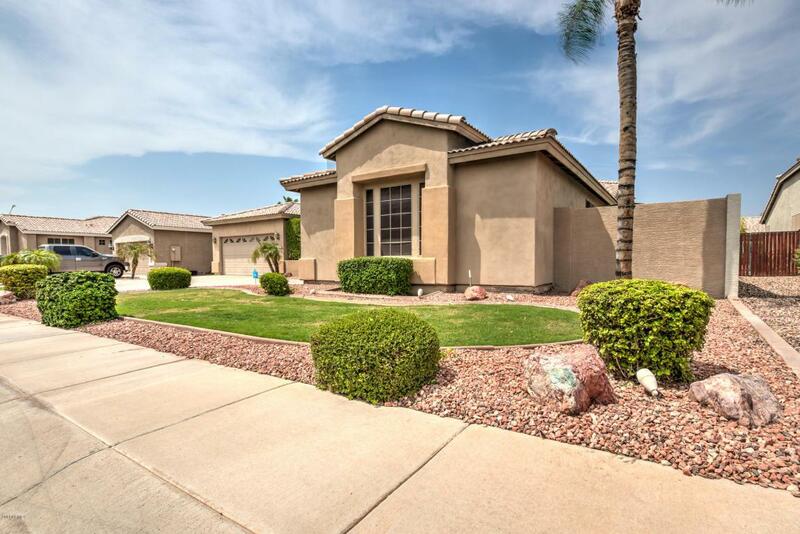 Now is your chance to call this Mesa paradise your home!